The Arowana should be gliding up and down the tank effortlessly and when it turns it should be very smooth and graceful. Its body should be exactly level horizontally when swimming, if it is not and it is at a slight angle it could mean a swim bladder problem. The fish are nearly always in the top 16 inches of the tank; make sure it stays there. Watch the fish as it moves. Its head should be very still with just the back half of the fish moving at all. 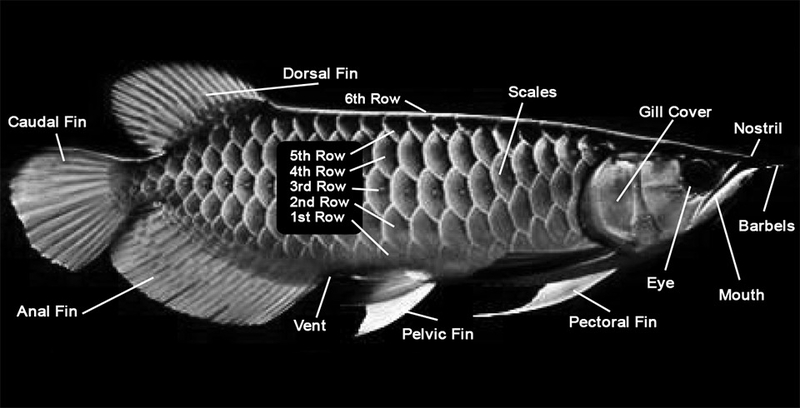 If the fish is displaying a jerky or stiffness when swimming, this could be a sign of a sick Arowana. It needs to be flat to the body of the fish and be circular in shape. Watch closely as the gills move to make sure that the fish is breathing correctly. They should be small movements that you can hardly see.